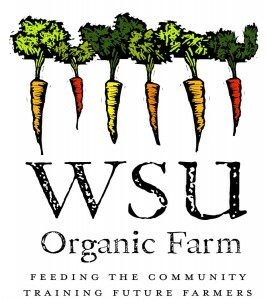 Washington State University maintains a 3 acre Organic Farm located inside the 50 acre WSU Tukey Horticultural Orchard and is 1.5 miles from the main Pullman campus. The Organic Farm operates through the Department of Crop and Soil Sciences while the orchard is run by the Department of Horticulture and Landscape Architecture. The Organic Farm was first certified organic in 2004 and remains certified by the Washington State Department of Agriculture. The farm is available for individuals or classes interested in a tour. To arrange a tour, contact: Brad Jaeckel, Farm Manager, phone 509-335-5893.